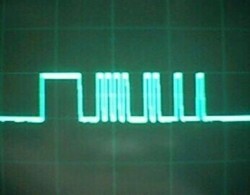 The UART, or Universal Asynchronous Receiver / Transmitter, is a feature of your microcontroller useful for communicating serial data (text, numbers, etc.) to your PC. The device changes incoming parallel information (within the microcontroller/PC) to serial data which can be sent on a communication line. 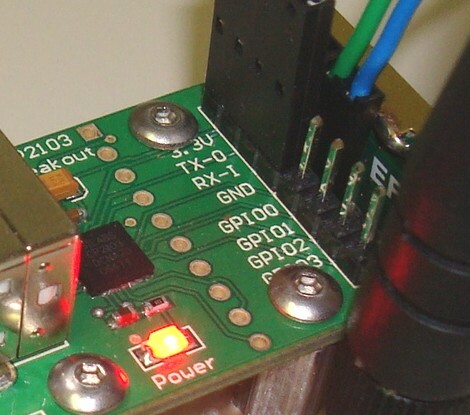 Adding UART functionality is extremely useful for robotics. With the UART, you can add an LCD, bootloading, bluetooth wireless, make a datalogger, debug code, test sensors, and much more! Understanding the UART could be complicated, so I filtered out the useless information and present to you only the useful need-to-know details in an easy to understand way . . . The first half of this tutorial will explain what the UART is, while the second half will give you instructions on how to add UART functionality to your $50 robot. 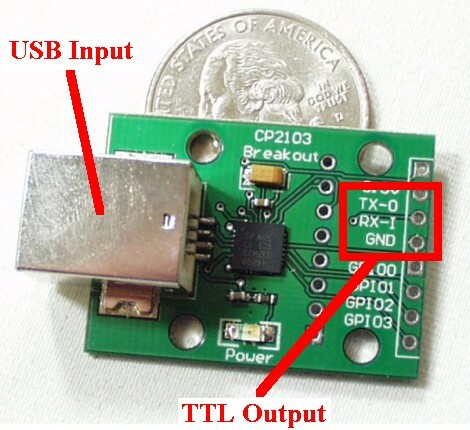 What is RS232, EIA-232, TTL, serial, and USB? These are the different standards/protocols used from transmitting data. They are incompatible with each other, but if you understand what each is, then you can easily convert them to what you need for your robot. 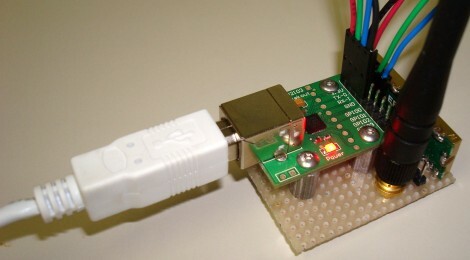 RS232 is the old standard and is starting to become obsolete. Few if any laptops even have RS232 ports (serial ports) today, with USB becoming the new universal standard for attaching hardware. But since the world has not yet fully swapped over, you may encounter a need to understand this standard. Today signal transmission systems are much more robust, meaning a +/-12V signal is unnecessary. The EIA232F standard (introduced in 1997) is basically the same as the RS232 standard, but now it can accept a much more reasonable 0V to 5V signal. Almost all current computers (after 2002) utilize a serial port based on this EIA-232 standard. 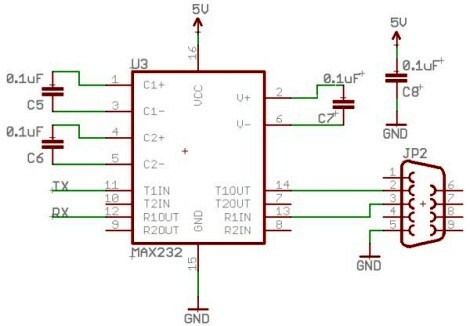 This is great, because now you no longer need the annoying MAX232 circuit! 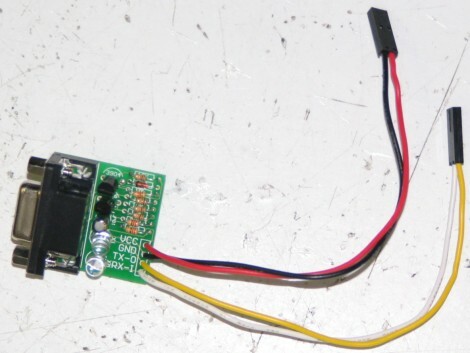 Instead what you can use is something called the RS232 shifter - a circuit that takes signals from the computer/microcontroller (TTL) and correctly inverts and amplifies the serial signals to the EIA232F standard. If you'd like to learn more about these standards, check out this RS232 and EIA232 tutorial (external site). The cheapest RS232 shifter I've found is the $7 RS232 Shifter Board Kit from SparkFun. They have schematics of their board posted if you'd rather make your own. This is the RS232 shifter kit in the baggy it came in . . .
And this is the assembled image. Notice that I added some useful wire connectors that did not come with the kit so that I may easily connect it to the headers on my microcontroller board. Also notice how two wires are connected to power/ground, and the other two are for Tx and Rx (I'll explain this later in the tutorial). The UART takes bytes of data and transmits the individual bits in a sequential fashion. At the destination, a second UART re-assembles the bits into complete bytes. You really do not need to understand what TTL is, other than that TLL is the signal transmitted and received by your microcontroller UART. This TTL signal is different from what your PC serial/USB port understands, so you would need to convert the signal. You also do not really need to understand USB, other than that its fast becoming the only method to communicate with your PC using external hardware. To use USB with your robot, you will need an adaptor that converts to USB. 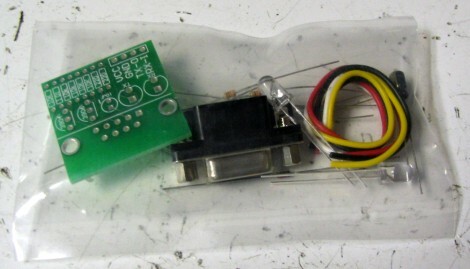 You can easily find converters under $20, or you can make your own by using either the FT232RL or CP2102 IC's. Without going into the details, and without you needing to understand them, all you really need to do is just buy an adaptor. There are other cheaper ones you can buy today, you just need to look around. If you have a CMUcam or GPS, again, the same connections. Other Terminology . . .
As you probably guessed, Tx represents transmit and Rx represents receive. The transmit pin always transmits data, and the receive pin always receives it. Sounds easy, but it can be a bit confusing . . .
Notice how Tx is connected to Rx, and Rx is connected to Tx. If you connect Tx to Tx, stuff will fry and kittens will cry. If you are the type of person to accidentally plug in your wiring backwards, you may want to add a resistor of say ~2kohm coming out of your UART to each pin. This way if you connect Tx to Tx accidentally, the resistor will absorb all the bad ju-ju (current that will otherwise fry your UART). And remember to make your ground connection common! Baud is a measurement of transmission speed in asynchronous communication. The computer, any adaptors, and the UART must all agree on a single speed of information - 'bits per second'. For example, your robot would pass sensor data to your laptop at 38400 bits per second and your laptop would listen for this stream of 1s and 0s expecting a new bit every 1/38400bps = 26us (0.000026 seconds). As long as the robot outputs bits at the pre-determined speed, your laptop can understand it. Remember to always configure all your devices to the same baud rate for communication to work! The short answer: don't worry about it. These are basically variations of the signal, each with long explanations of why you would/wouldn't use them. Stick with the defaults, and make sure you follow the suggested settings of your adaptor. 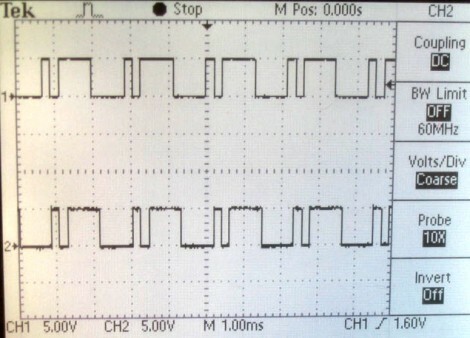 Usually you will use 8 data bits, no parity, 1 stop bit, and no flow control - but not always. Note that if you are using a PIC microcontroller you would have to declare these settings in your code (google for sample code, etc). I will talk a little more about this in coming sections, but mostly just don't worry about it. What if by rare chance your microcontroller does not have a UART (check the datasheet), or you need a second UART but your microcontroller only has one? There is still another method, called bit banging. To sum it up, you send your signal directly to a digital input/output port and manually toggle the port to create the TTL signal. This method is fairly slow and painful, but it works . . .
As you should already know, baud rate defines bits sent per second. But baud only has meaning if the two communicating devices have a synchronized clock. For example, what if your microcontroller crystal has a slight deviation of .1 second, meaning it thinks 1 second is actually 1.1 seconds long. This could cause your baud rates to break! One solution would be to have both devices share the same clock source, but that just adds extra wires . . . All of this is handled automatically by the UART, but if you would like to understand more, continue reading . . . When data is being transmitted, the sender does not know when the receiver has 'looked' at the value of the bit - the sender only knows when the clock says to begin transmitting the next bit of the word. In short, asynchronous data is 'self synchronizing'. The loop-back test is a simple way to verify that your UART is working, as well as to locate the failure point of your UART communication setup. For example, suppose you are transmitting a signal from your microcontroller UART through a TTL to USB converter to your laptop and it isn't working. All it takes is one failure point for the entire system to not work, but how do you find it? The trick is to connect the Rx to the Tx, hence the loop-back test. If it still doesn't work, you know that your code was the failure point (if not more than one failure point). Then do this again on the PC side using HyperTerminal, directly connecting Tx and Rx of your USB port. And then yet again using the TTL to USB adaptor. I'm willing to bet that if you have a problem getting it to work, it is because your baud rates aren't the same/synchronized. Full Duplex is defined by the ability of a UART to simultaneously send and receive data. Half Duplex is when a device must pause either transmitting or receiving to perform the other. A Half Duplex UART cannot send and receive data simultaneously. While most microcontroller UARTs are Full Duplex, most wireless transceivers are Half Duplex. This is due to the fact that it is difficult to send two different signals at the same time under the same frequency, resulting in data collision. If your robot is wirelessly transmitting data, in effect it will not be able to receive commands during that transmission, assuming it is using a Half Duplex transmitter. Please check out the step-by-step instructions on how to add UART functionality to your $50 robot >>>.